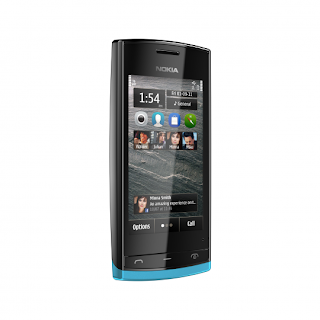 Nokia 500 has just been officially announced as the latest Nokia smartphones based on Symbian Anna. 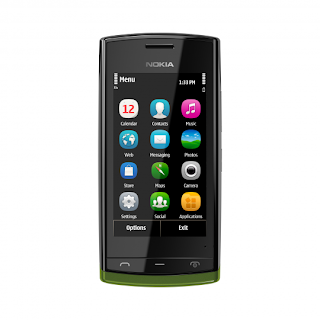 The new phone is based on the specifications of the Nokia C5-03 but upgraded several key features while still maintaining affordable prices. 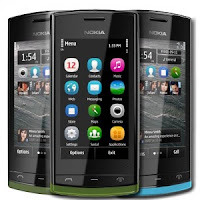 Nokia 500 has a 3.2 inch capacitive specifications denganresolusi 640 x 360 pixels and there is a 5 megapixel camera on the back. Supporting mobile connectivity speed of 14.4Mbps HSDPA and 5.8Mbps HSUPA, Wi-Fi (without the support of N here), GPS, microUSB port and 3.5mm standard audio jack. There's 2GB of internal memory and microSD slot for adding storage capacity. Nokia 500 comes with a cover that can be replaced with different colors (two extra-cover has been provided along with the phone). 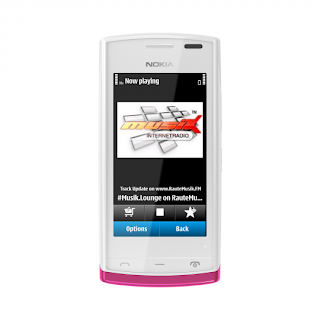 Just like with the Nokia N79, the Nokia 500 can automatically change the wallpaper to match the color of the rear cover is installed. Unfortunately, the use of a 1GHz CPU is not really effective in improving the performance of this phone. If you see a 1:31 minute video on the position in the video, you'll see the News Feed rolling in the Facebook app. Well, we can clearly see some of the delay / lack of subtlety when the screen roll. Battery Nokia 500 will give you time about 5-7 hours of talk time, 450 + hours in standby mode or up to 35 hours of music playback. Nokia 500 will be launched in black in Q3 2011 with a white version coming in Q4 2011. There will be six panels of different colors on the back of the launch in Q3.